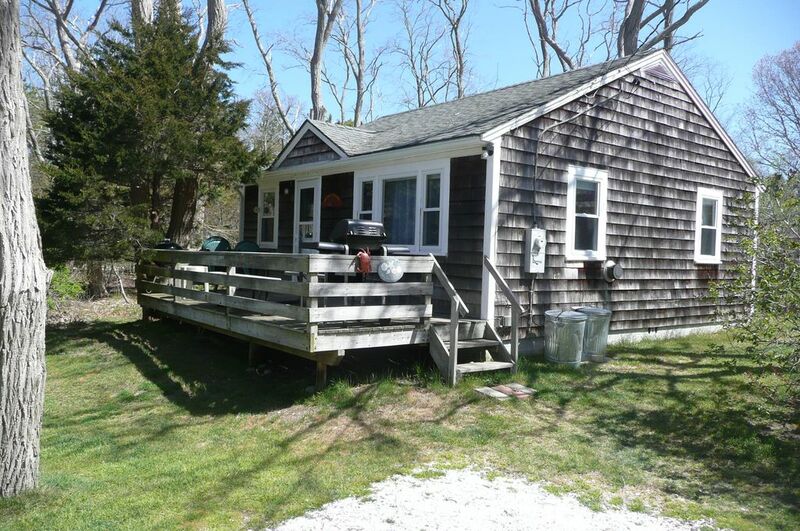 Clean and quiet 2 bedroom cottage 1/2 mile to Sunken Meadow Beach, 2 miles to National Seashore. Private yard. Fully equipped kitchen with microwave. Cottage includesA.C., WIFI, cable TV, DVD and VCR, fans in every room. Outside deck with gas and charcoal grills, outdoor heated shower. Close to great fishing, bike trails, freshwater pond, surfing, swimming, golf. Local attractions include Wellfleet drive-in movies, Audubon Wildlife Refuge, great seafood and 30 minutes to Provincetown for shopping and whale watching. Great location, and everything was clean and comfortable. Ed was a pleasure to work with. We plan on being back for sure. We completely enjoyed our stay at Val and Ed’s sweet cottage. The cottage was spotless and cozy in a great location. Nice and quiet just the way we like it, lots to see nearby. Ed is a very nice guy and was available if we needed him. Nice cute well equipped comfortable cabin. Owners helpful and friendly. Cottage is on same large lot as the owners home. So not as private as some properties but still feels fairly private and this did not bother me at all. Owners friendly and helpful and having them around is good if you have a problem. I had no problems at all. I would return. Good value. Good location. Good WiFi and TV. Quiet, peaceful home base with access to beach and good food within minutes. Place is just as pictured. Ed very pleasant, laid back and accommodating. Beds are super comfortable. This is a great cottage, close to Cook's Brook Beach, with extremely comfortable beds! We loved eating outside on the deck at the large picnic table. It also has a very nice outdoor shower.